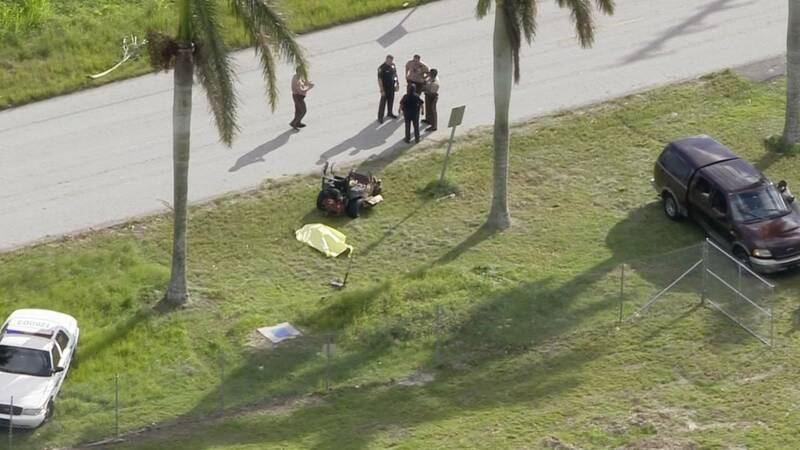 MIAMI-DADE COUNTY, Fla. - A man was killed by a lawn mower Tuesday afternoon in southwest Miami-Dade. The incident was reported outside a home on Southwest 152nd Avenue and 160th Street. Sky 10 was above the scene shortly after 4:30 p.m. as a tarp covered the man's body, which was lying next to the lawn mower.